May | 2014 | Om nom nom! 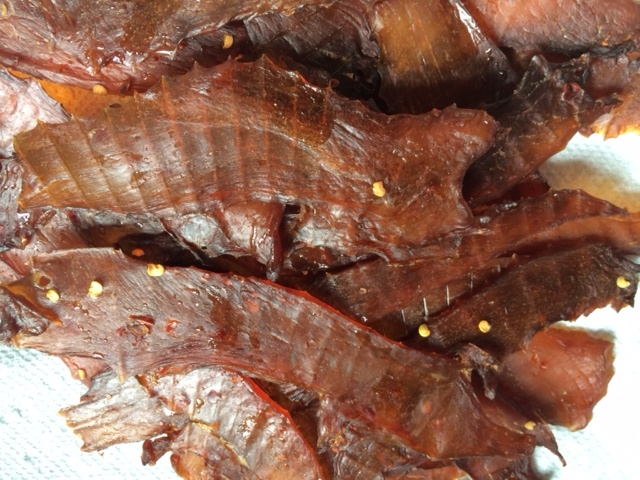 Another great jerky recipe for the dehydrator…I’m undecided if I liked this or the beef jerky better! This one came from Chow. 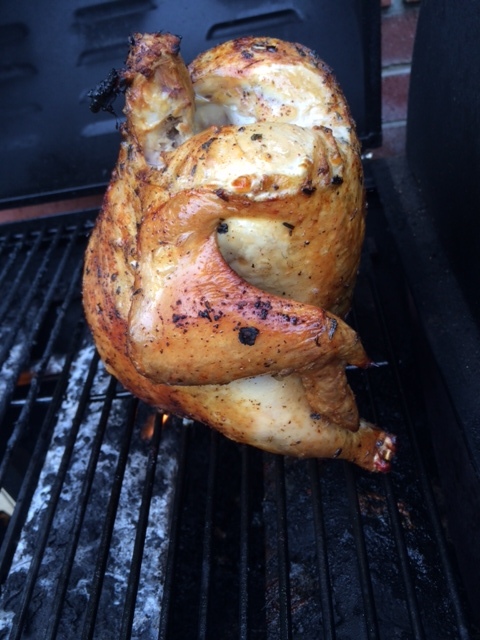 What can I say…this was easy and absolutely delicious. We combined a few rubs to make the final product, but you can’t get much more low maintenance for a nice summer meal! And bonus chicken stock tomorrow! You can fine the recipe here, at my friend Missy’s site. 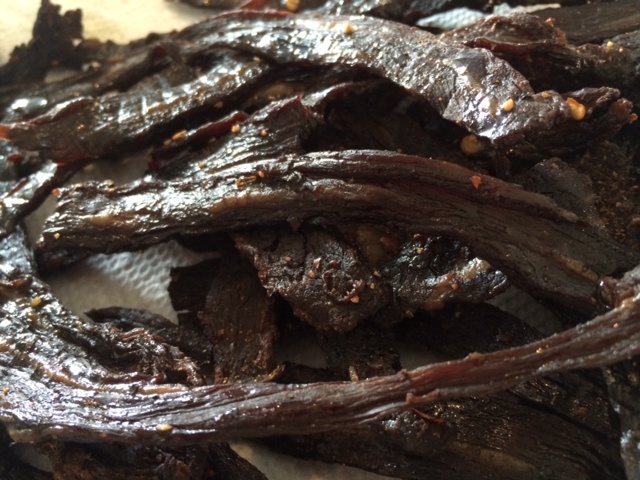 This is was a nice side salad for grilled food over the holiday weekend…we had it with both nice steaks and beer can chicken. 🙂 Versatile! 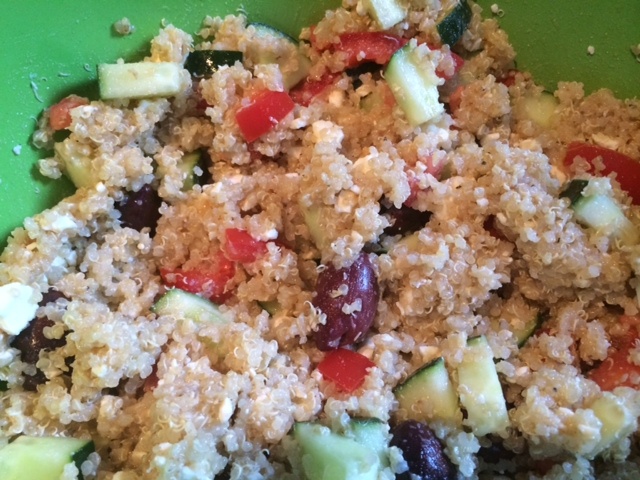 It would also make a nice lunch…it made a ton, so there was plenty for lunches this week. Definitely satisfies my “grain” craving while staying on the low-carb side. I’ve had this one from Chow saved forever, just looking for the occasion to use it. It makes so much that it’s not exactly a two-person meal. 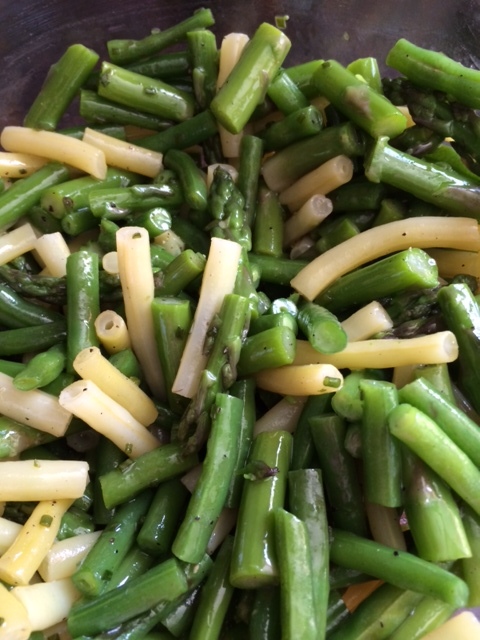 I thought this was great though – light, flavors were good, and a pretty side dish for a BBQ or picnic. I got this one from my friend Missy years ago, and it’s still one of my favorites. 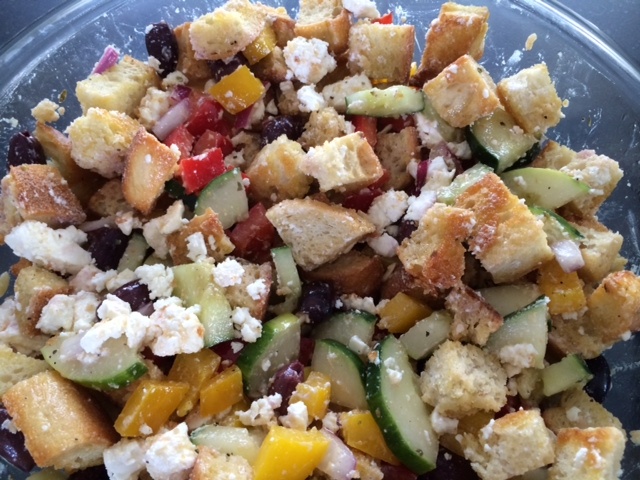 If I didn’t try to stick to low carb, I’d make some variety of Panzanella all the time. This is another Ina recipe, never gets old. Went well with our BBQ last weekend. 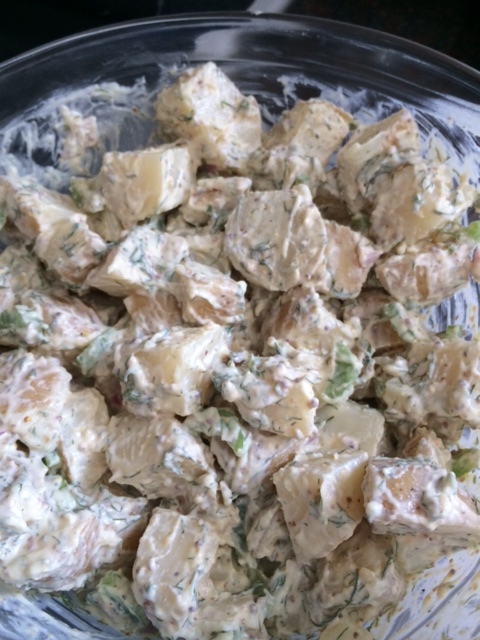 Potato salad is definitely a go-to BBQ side, and even though I am really not a fan of potatoes, I recognize most people do not agree with me. 😉 We had a BBQ last weekend to showcase Shawn’s foray into the world of brewing his own beer, and he also made his awesome wings. Of course a classic potato salad was a given with that. This is an Ina Garten recipe, I didn’t change anything, and the dressing was excellent. Definite winner.